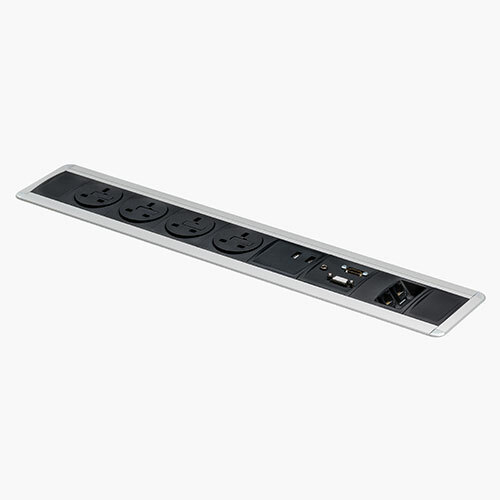 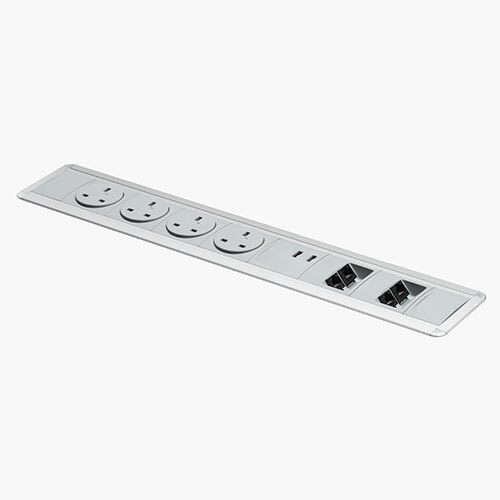 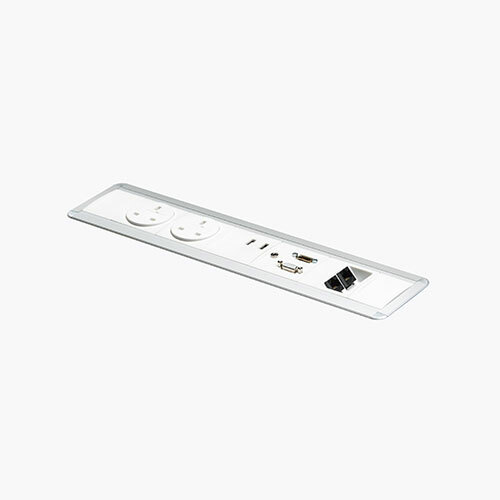 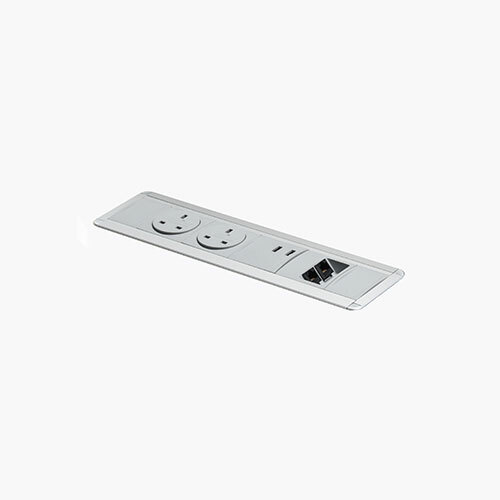 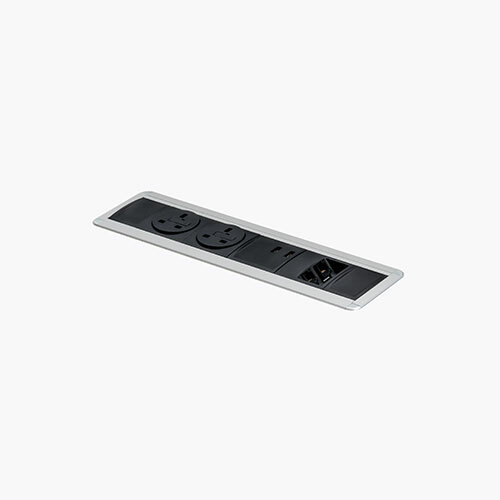 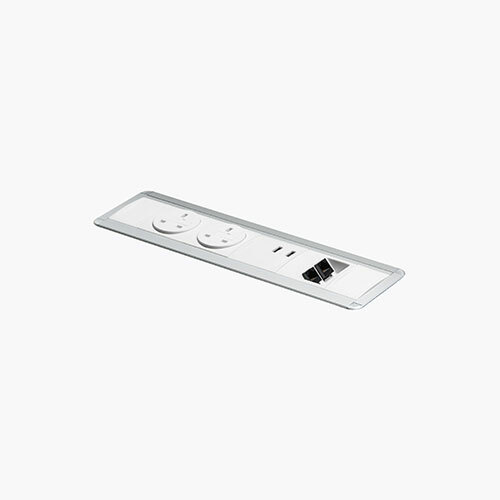 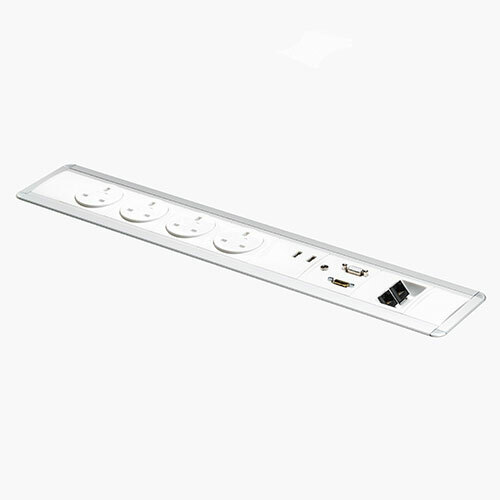 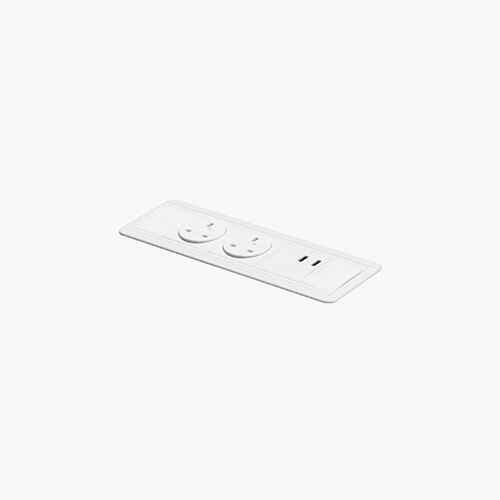 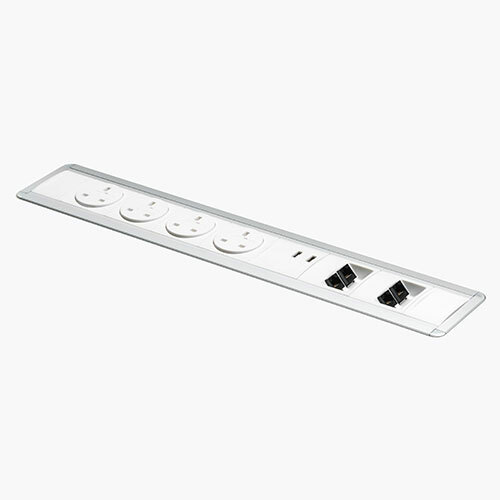 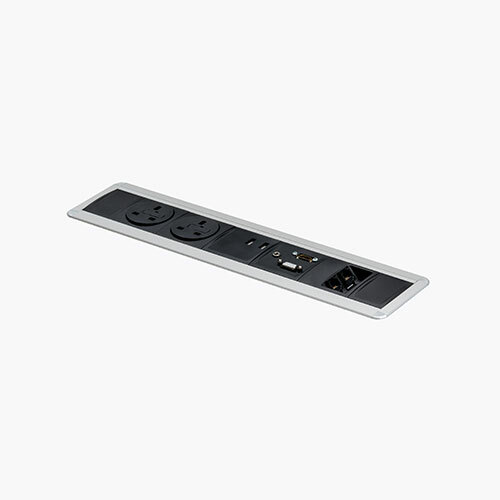 A power & comms unit with an extraordinarily low profile which fits flush to table top. 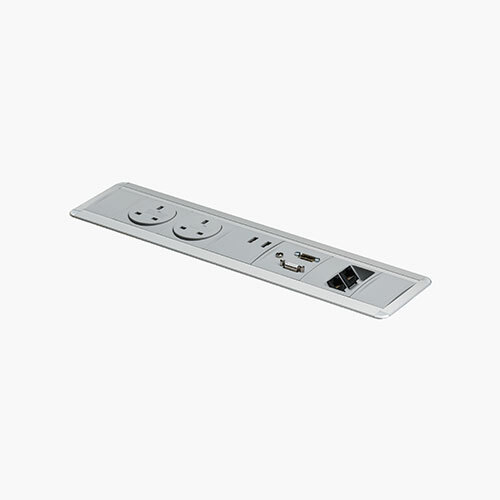 As well as the power, data & AV options being customisable (sockets can be orientated to service users on both sides) the colour/finish of each component including the all metal body and surround can also be selected by the client. 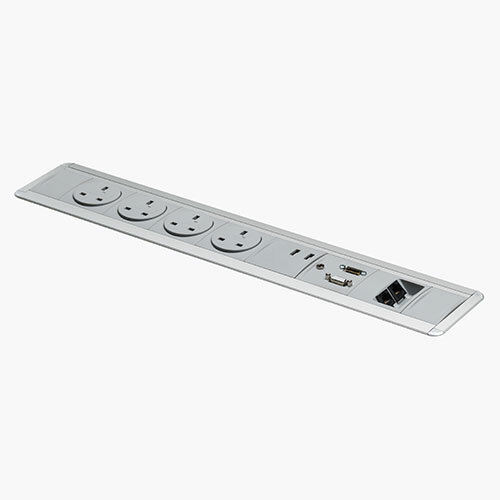 Due to our UK design & manufacture even the most complex configurations can be created and delivered in ten working days, subject to component availability.